Before we begin, I shall define some terms. I will use my Tiger II to explain these terms. Stabsfeldwebel Egger is honoured his tank can be used for this demonstration. Upper Glacis: The upper frontal hull armour plate of a tank. Lower Glacis: Lower frontal hull armour on a tank, usually weaker. MG Mount: Location where a machine gun is mounted on a tank for local defence against infantry. Usually have weaker armour. Cupola: Dome shaped structure used by commander/crew to enter/exit tank. Some cupolas have observation slits for the commander. Usually have no armour. Viewport: Device used by crew members to see the outside world, may/may not result in hull damage depending on the tank. Upper Superstructure: Some German tank destroyers have two different armour values, one for the hull and one for the upper part. This is the upper part. Stabsfeldwebel Otto Carius demonstrates. Weaknesses will be hull then turret. THIS GUIDE ASSUMES YOU ARE FACING THE TANK FROM THE FRONT. Left side assumes your left, and the opposing tank’s right side, and vice versa. 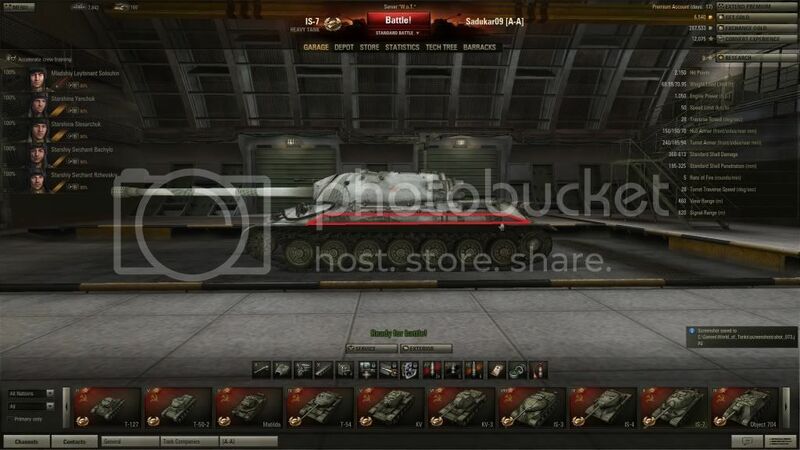 Tanks lower than tier 10 will have turret weaknesses for upgraded and stock turrets. With the new armour group updates, IS-3/704/IS-7 gained new spaced armour. This means some areas on the front and rear are falseboards, if you penetrate there, it will do no damage. These are outlined below. The falseboards actually outlines the real tank armour layout. IS-3/704/IS-7 have parts of their side armour at 60 degrees. What this means is that their side armour are exceptionally tough. IS-3 and 704’s side armour above the tracks are nearly 180mm, IS-7’s side armour there is greater than a Type 59’s frontal hull. If a shell hits there, it will penetrate some spaced armour first, then hit the sloped side armour, making penetration incredibly tough. Instead, hit the armour behind the tracks, those are only 90mm/100mm at 90 degrees from horizontal. 704 has the same rear armour layout as the IS-3. Hull: Lower glacis, there is a small rectangular block that can be hit and penetrated easily by tier 10 guns as long as the Maus driver does not angle his hull. 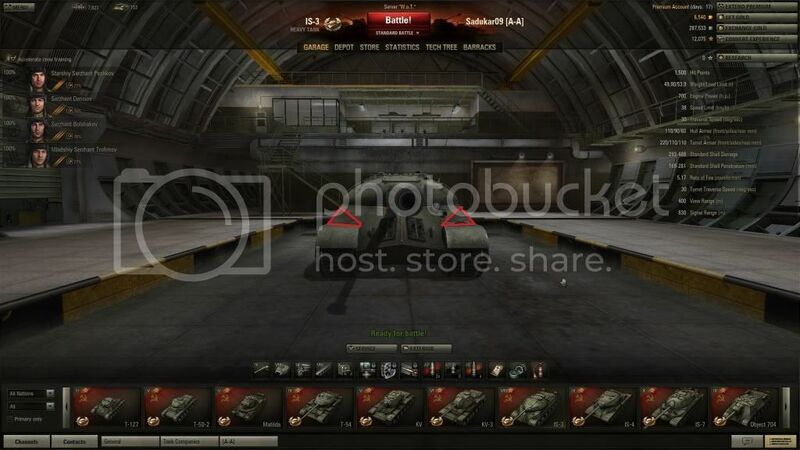 Ammo rack is located under the turret. Turret: Shoot the round side beside the mantlet. Armour here is 220mm rounded. As long as the Maus driver does not turn his turret away and you have a good non angled shot, it will go through with tier 10 guns. It is possible to try to shoot the lower rounded part of the turret to attempt to ricochet it into the upper engine deck. However this is unreliable. Ammo rack is located in the rear half the turret. Hull: Lower glacis, guns with ~200mm penetration can hit through if it is unangled. Do not shoot the lower glacis if you are within 50m of the E-100, as it will be too angled (50 degrees) for you to penetrate. Instead, use the turret weakness. Ammo rack is in the rear portion of the turret, similar to Maus. Turret: There is an extremely flat part of the frontal turret where the turret mates with the chassis. Armour there is unknown, presumably 240mm, but has no vertical angle. Frontal turret of the E-100 is very tough, try not to hit it. Hull: Lower glacis plate at medium range, do not shoot it at close range, you will be shooting down at it and it will be highly angled. Lower hull now needs around 235mm average penetration to do damage. Avoid shooting the seam of the V, where it is extremely hard to penetrate. Good luck getting through upper hull. Turret: Nigh impossible. Cupolas now no longer do damage. Hull: Lower glacis, driver’s viewports. Turret: Commander’s cupola, area beside mantlet. Avoid mantlet if possible. Turret ring is rather vulnerable. Hull: Lower glacis plate, it is still 170mm like upper glacis, but it is less angled. Tier 9 guns like 10,5cm Kwk 46 L68 can penetrate 50% of the time unangled. If angled, it is hard to hit through it, even with tier 10 guns like 120mm/12,8cm Kwk 44 L55. Ammo rack is located in the rear of the hull, where the spare track links are located. Upgraded Turret: Commander’s cupola, try not to hit the rangefinder in front of it. High powered guns like 155mm T7 and 152mm BL-10 can penetrate turret frontally if fired head on without angle. Ammo rack is on the rear half the turret. 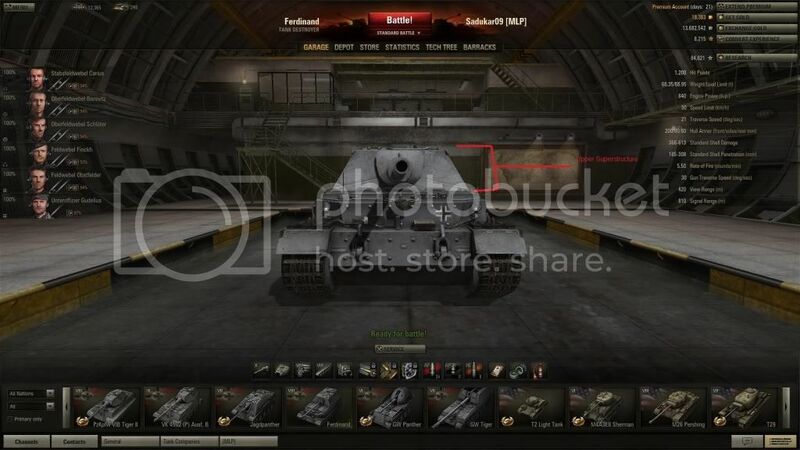 Stock Turret: Same armour as the Maus turret, hit the rounded front turret armour beside the mantlet. Cupola is still weak. Ammo rack is in the rear half of the turret. Hull: Lower glacis (130mm). Avoid shooting the upper glacis if possible, as that can bounce 12,8cm Kwk 44 shots unangled, angled it can bounce 152mm BL-10s. Upgraded Turret: Commander’s cupola, the two rangefinders on the side of the turret. Ammo rack is in the rear half of the turret. Stock Turret: Commander’s cupola. Guns with greater than 200mm penetration can hit through frontal turret, as long as you do not hit the mantlet. Ammo rack is in the rear half of the turret. Hull: Lower glacis plate at medium/long range, where the spare track links are located. Ammo rack is located behind the headlights (hmm…). Shooting it at close range results in bounce/non penetration due to angle. Lower hull can be penetrated by a Tiger I. Driver’s plate is located in the middle of the frontal glacis plate. It is ~160mm thick. Upgraded Turret: Commander’s cupola on the right side. BL-10, T7, and Pak44/2 can penetrate frontal turret if you shoot the rounded area beside the mantlet. Ammo rack is located in the rear right of the turret. (If turret rear is facing you.) Another hard to use weakness is the thin metal sheet above the mantlet, when shooting the side turret at extremely close range. The mantlet itself can be penetrated by Jagdtiger, Object 704, T30, AMX 50B. Stock Turret: Frontal turret armour is a joke. Ballshaped range finder can be penetrated with ease. Tiger I can penetrate frontal turret if you aim beside the mantlet and hit the rounded area. Mantlet is weak. Hull: Lower glacis, driver’s viewport can be consistently penetrated at close range. Turrets: Area beside the mantlet, commander’s cupola. Turret ring. Hull: Lower glacis. Ammo rack is underneath the turret, and above the tracks. Upgraded Turret: Commander’s cupola, rangefinders. Stock Turret: Anywhere but mantlet. Hull: Hull can be penetrated anywhere by any guns above 200mm penetration, as long as the driver does not angle his T-54. If so, you can shoot the flimsy side armour. Ammo rack is located behind the headlights (Gee wizz.) to the left of the tank. Try to hit the T-54’s frontal hull above the splashboard. Driver’s viewport is another weakspot. Upgraded Turret: Commander and loader’s cupolas are easy penetration at close range. You can actually penetrate the frontal turret with 225mm penetration guns with 50% probability if you aim directly at the gun. Ammo rack is located in the back of the turret as well. Stock Turret: Same as above. Hull: lol. Ammo rack is underneath the turret. 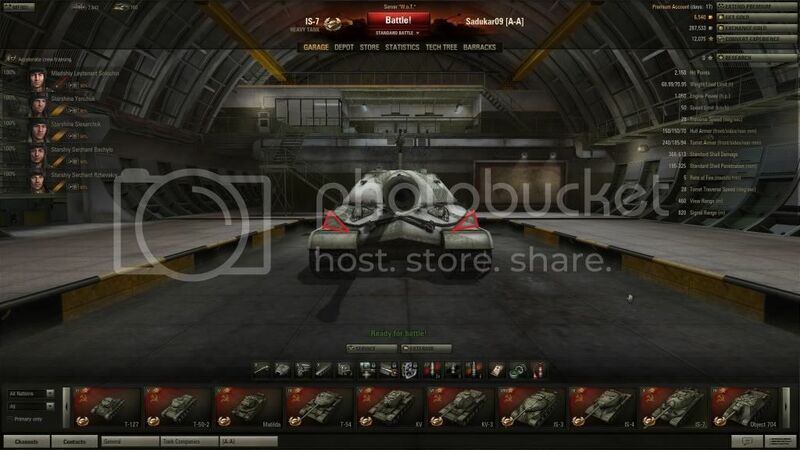 Upgraded Turret: Try to hit the hull, otherwise, hit the cupola or the area beside the mantlet. Hull: Same weaknesses as Tiger II, lower glacis is 120mm. MG ball mount can be penetrated by 8,8cm L56. Ammo rack is located on the side of the superstructure, where the Balkenkruz is. Superstructure: None. BL-10, T7, Pak44/2 can penetrate upper superstructure if it’s medium/close range and the Jagdtiger is not angled. But usually you can shoot the lower/upper glacis plate. Mantlet is impenetrable, do not hit it. Hull: Lower glacis, armour is only 120mm @ 60 degrees. ~187mm with shell normalization. Do not hit the mantlet, It’s more than 300mm there. There is are two highly angled plates that count as side armour. From the front, it is too angled for most guns to penetrate. You CAN penetrate if the 704 happens to not face you. Hull: Lower glacis is very situational, it’s extremely hard to hit barring point blank ranges, not to mention it’s still ~200mm, then you’d be right in front of his gun. The two cupolas are easy weakspots to hit. I have taken damage on my T95 when someone shot my track off from the front. Mudguards may be another weakness. The two triangle areas on either side of the main hull are now spaced armour, penetrations from the front there DO NOT DO DAMAGE. Hull: lol. Ammo rack is under the turret. Turret: The left and right area beside the mantlet can be penetrated by guns above 225mm penetration unangled, if the T30 turns away even a bit, any gun above 200mm will penetrate. The frontal side turret is only 179mm thick. 152mm BL-10 CAN penetrate the mantlet, but it’s not recommended. Commander’s cupola is another choice if being facehugged. The small triangular area above the mantlet is also a good spot if being facehugged. 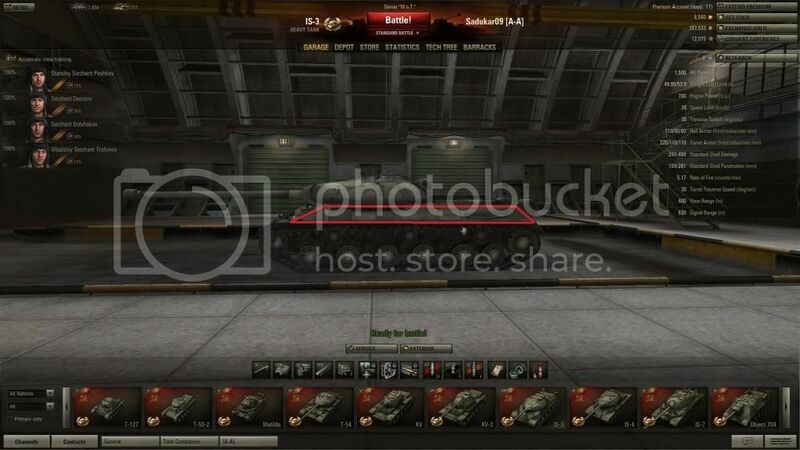 Ammo rack is located in the back of the turret. Hull: Lower glacis is rated at 120mm. MG mount is weak, but only where the machine gun actually is, only useful at very close range. Ammo rack is above the tracks. Upgraded Turret: Commander’s cupola. Ammo rack is located in the rear half of the turret. Frontal turret armour is rather flimsy with the exception of the mantlet. 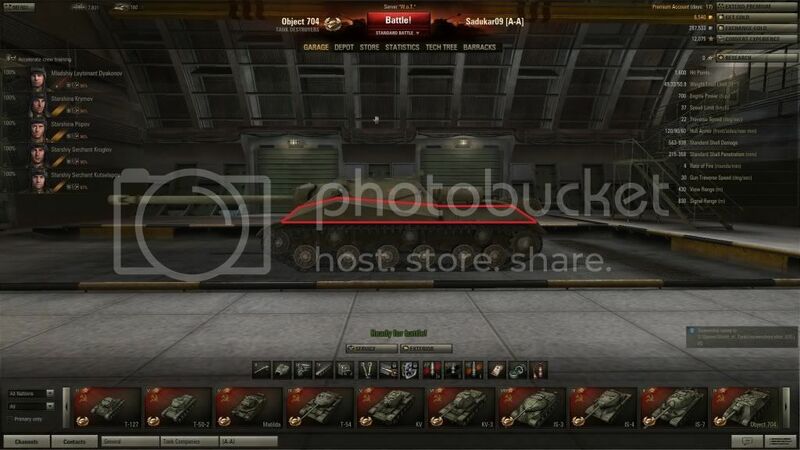 Stock Turret: lol. This turret is a joke. Anywhere but the mantlet you will penetrate. Ammo rack is same as above. Hull: Lower glacis. Avoid the flat plate that’s in the front and side of the hull, those plates are impenetrable. Upgraded Turret: Same as Tiger II. Gun damage bug is not verified. 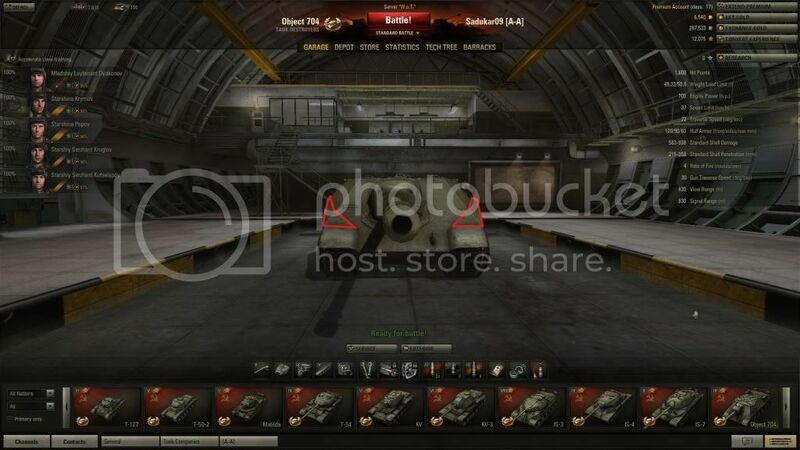 Stock Turret: Same as Tiger II. Hull: Same as IS-7, lower glacis is weaker than the rest. Avoid shooting the pike head on. If facehugging, the driver’s viewing prism/port is a weakness. 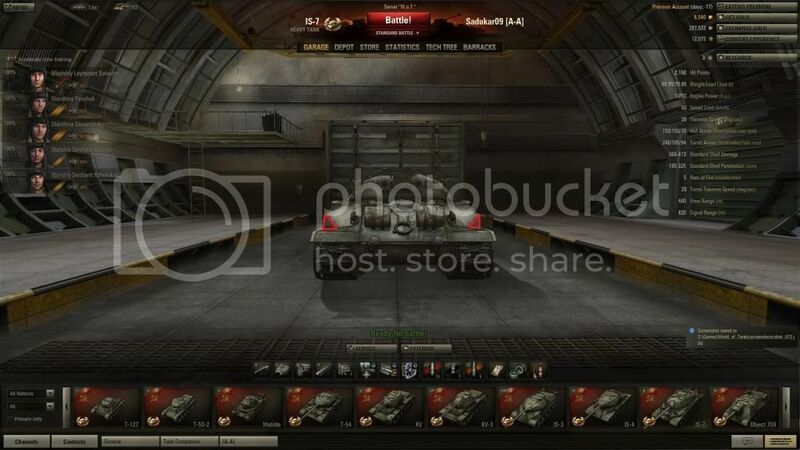 Ammo rack is under the turret. When shooting side hull, avoid shooting the side sponsons. Armour there is ~200mm due to 30mm side skirt+90mm@60 degrees.. Shoot near the tracks for 90mm@0 degrees hull armour. Hull: This thing is rather good despite what people say. Lower glacis is very hard to hit. The MG port and driver/radioman’s hatches are weakspots. Ammo rack is under the turret. Upgraded Turret: Commander’s cupola at very close range (very high chance of ricochet), HE shells, gold rounds or high powered guns (245mm+) can penetrate the gun hole. Stock Turret: Do not hit the mantlet. Hull: Lower glacis, MG port (Leopard at full speed managed to knock my radioman out). Ammo rack is above the…take a guess. Upgraded Turret: Anywhere except mantlet. Upgraded Turret: Everywhere but mantlet. Stock Turret: Everywhere but mantlet. Hull: Lower glacis, MG port. The raised square portion right in the middle of two crew hatches. Ammo rack underneath the turret. Hull: Lower glacis, area where the…headlights are. 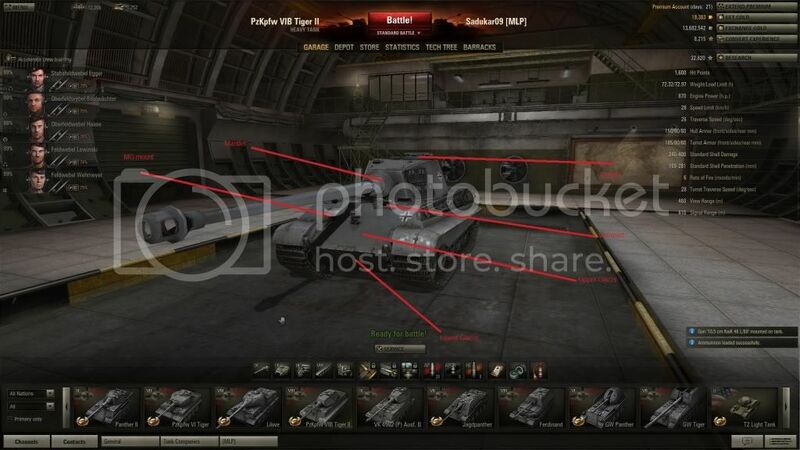 Superstructure: None, but any gun with 225mm penetration or above will penetrate if the Ferdinand is not angled and if the shot does not hit the mantlet. Ammo rack is located in the side armour section behind the Balkenkruz. Hull: This tank destroyer is not burdened by silly things like armour, but do avoid the mantlet. 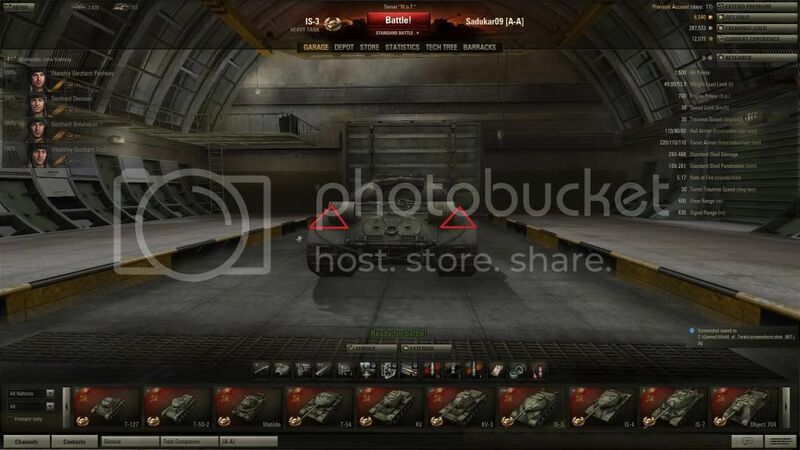 Hull: Same as T95, hit the cupolas or flank. Lower glacis is much weaker than the upper superstructure. Hull: MG port. Lower glacis. T28 prototype has rather consistent armour from the front here. Turret: Turret is open top, therefore vulnerable to HE from top shots. Otherwise, area beside the mantlet. Turret: Commander’s cupola, anywhere that’s not the mantlet. The area below the mantlet is especially good, as you may jam his turret traverse. Hull: Radioman’s MG turret, aka R2D2, lower glacis. Hull: This tank has almost no weakspots frontally, the only area that is weak is the area where the driver’s viewport is. The only reason it is weak is because it isn’t sloped. Guns with 200mm+ penetration can hit through here, but less likely if the driver angles his armour. Turret: Area above the mantlet. All in all, it’s easier to fire HE or flank it. Even guns like the 12,8cm Pak 44 sometimes has difficulties penetrating this tank frontally. Turret ring is vulnerable to close range hits. Upgraded Turret: See T30, but rear turret armour is now not a good place to hit due to additional armour plating. Rear turret still houses the ammo rack. Hull: Same as T-54/44. Ammo rack location is the same spot. Turret: Exactly the same as T-54’s upgraded turret, except the side turret is much weaker. Hull: lol, avoid the highly sloped upper superstructure. Stock Turret: Commander’s cupola. Avoid the mantlet. Upgraded Turret: Commander’s cupola. Avoid the mantlet. Hull: Try to shoot the turret instead. But if you absolutely have to shoot it for some reason, it has exactly the same frontal weakness as a Ferdinand, with the addition of a driver’s viewport. Turrets: Should be able to penetrate easily, zero angle 100/120mm isn’t much. However there are some areas where mantlet stacks with frontal turret armour. Commander’s cupola. Hull: Lower glacis, where the track links are. Avoid shooting the sloped section on the front, even though it’s only 60mm, it is angled at 70 (!) degrees from vertical, making it 174mm effective, or 120mm with normalization. Even then it is more likely to ricochet your shot. Turrets: Commander’s cupola. Mantlet on the IS is pathetically weak. Hull: At this tier, it’s rather good. Shoot lower glacis or the MG mount. Crew hatches are another good spot. Ammo rack underneath the turret. Upgraded Turret: Same as T30. Rear half houses the ammo rack. Rangefinders are no longer weakspots. Hull/Turrets: This medium tank is also not encumbered by ridiculous things like steel plating. Hull: Lower glacis, MG mount. Try not to hit the mantlet. Hull: Anywhere but the mantlet. Cupola. Turrets: Anywhere but the mantlet. Stock Turret: No exceptional weaknesses. Try hull instead. Hull: MG mount, driver’s viewport, lower glacis. Upgraded Turret: Commander’s cupola. Mantlet is now heavily armoured. Stock Turret: Commander’s MG turret. Mantlet is now heavily armoured. Hull: MG mount, driver’s viewport, lower glacis. This tank is quite well armoured all round, but similar tiered guns can penetrate well barring bad angles. Upgraded Turret: Shoot the flat parts that are not part of the mantlet. The turret is quite high off the hull, you can hit the traverse mechanism quite easily as well. Ammo rack is located in the rear, below the huge square crew hatch. Stock Turret: Shoot hull instead, frontal stock turret has few non sloped parts, and rounded mantlet bounces quite a few shots. Hull: Area where the hull MG mount is, driver’s viewport. This area is not exactly weak, but it is not sloped so you can easily penetrate with guns above 120mm penetration. Upgraded Turret: Easier to just shoot hull.